Get the Merc with a Mouth as an adorable stylized Jumbo Pop! Plush! 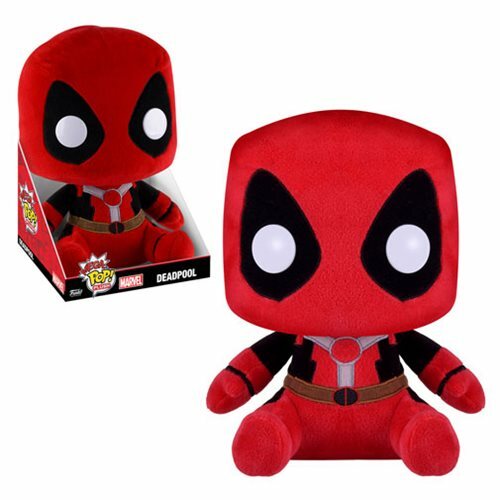 Deadpool is one of the wackiest and funniest characters to ever hit the pages of Marvel Comics, and now he's even cuddlier too! This Deadpool Marvel Jumbo Pop! Plush measures 12-inches tall while sitting and comes packaged in an open display tray.